Express your sweet side and say anything you want on this custom any message candy jar. 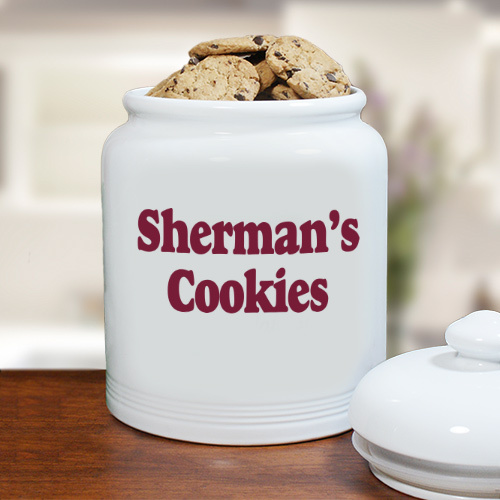 Your personalized cookie jars will be customized with any two-line message in your favorite text color to create a one-of-a-kind jar that will be treasured for a lifetime! Ceramic Jar comes with an air-tight ceramic lid to ensure extra freshness. Love it. And so do my grandchildren. It was just as nice as I thought it would be. Very high quality and got it sooner than I expected. Love this cookie jar!